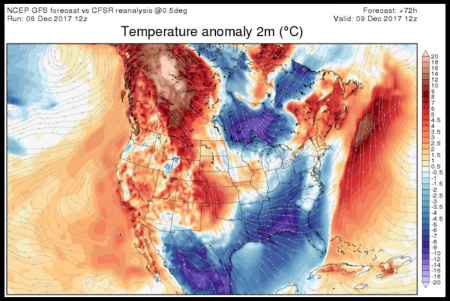 Weather Warfare on America? Hurricanes, Fires created by Directed Energy? California Fires Created to Distract from Voter Fraud??? appears to have the hallmarks of something far more sinister than what is being reported by the mainstream media. Q is right, the enemy is at the front door and UN Agenda 21 is but one of his deadly weapons. PG&E caused Fire in N. CA? 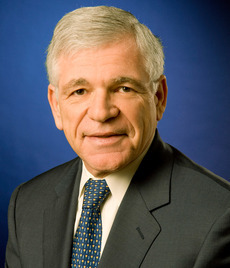 Is there Weather Warfare on the American People? Hurricanes, Fires created by Directed Energy? California Gets Cooked – Hurricanes Harvey, etc Directed by HAARP? 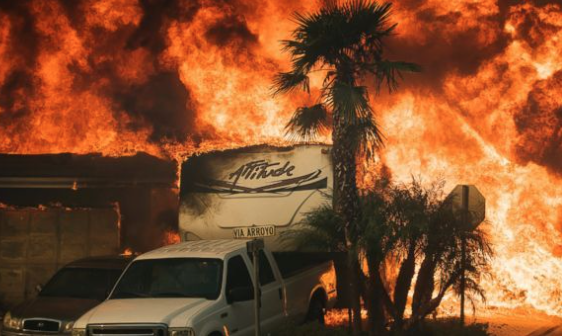 Yet another round of extreme firestorm catastrophes are hitting California. 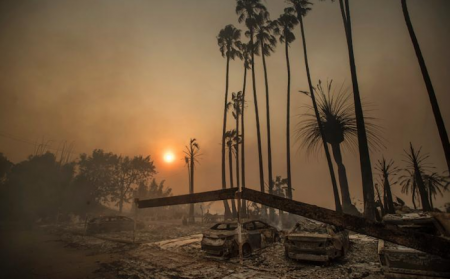 Like the recent Santa Rosa fire disaster, the current wildfires are verifiably connected to conditions created by the ongoing global climate engineering assault. The geoengineering cabal is becoming more desperate by the day as the biosphere and climate unraveling accelerates exponentially. 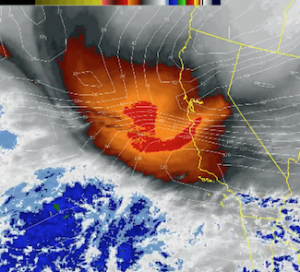 The 6 minute video below reveals aspects of the climate engineering assault and its connection to the California firestorms. The “CO2 Climate Change” BS is being proven wrong, so the desperate Elite have to create the Problems directly. 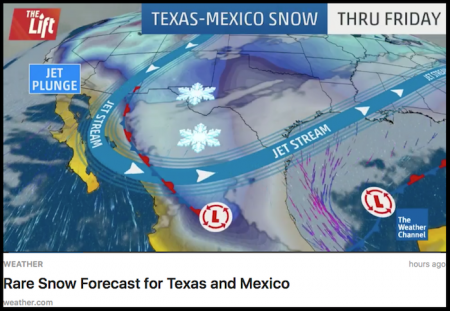 The extremely anomalous jet stream configuration shown in The Weather Channel’s “forecast” map above (scheduled weather) are meteorologically unprecedented. Climate engineering can create short term surface cool-downs at the cost of an even worse overall planetary warming. It is important to remember and consider that all the temperatures reflected in the map above (and temperatures being reported by weather news sources) are surface readings. Commercial and private pilots (that are communicating with GeoengineeringWatch.org) are reporting ONLY far above normal temperature readings at altitude. The climate engineered chemical cool-down zones occupy only a shallow layer of air at the Earth’s surface.